No reports received of any reserves available to the enemy on our front. (1) In the area vic RICHELSKAUL, GERMANY, the enemy was defending heavily wooded defensive positions on high ground north of SIMONSKALL, GERMANY, and from the pillbox area, RAFFELSBRAND, GERMANY to L-007302, supported by an abundance of automatic weapons and entrenched mortars in the area of the enemy pillboxes. 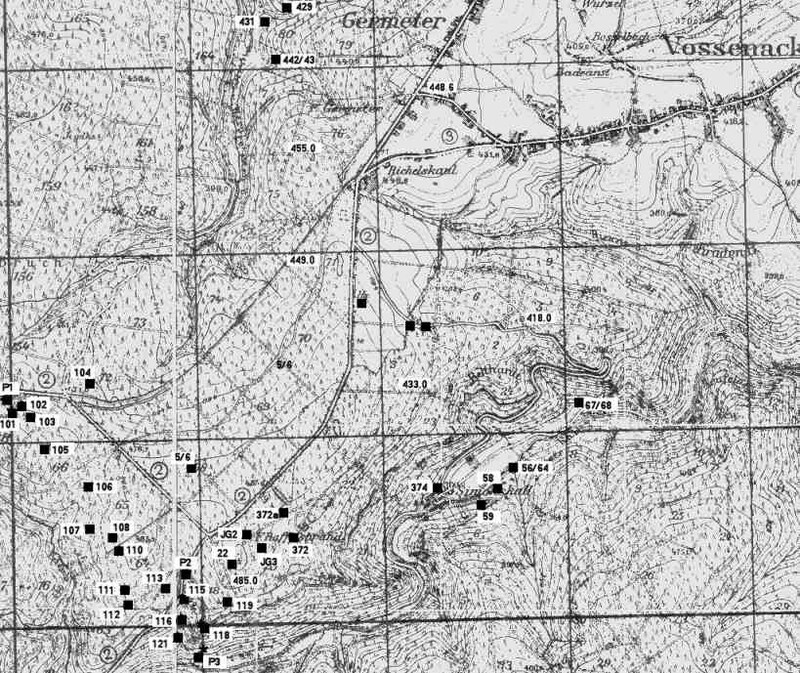 (2) In the area HOSINGEN - HOLZTHUM - VIANDEN, LUXEMBOURG, the enemy was defending from dug in positions and pillboxes on the high ground east of the OUR river. Definite information of the strength of the enemy defenses manned is lacking. His patrols are moderately active, and everyday his patrols are reported crossing the river and making limited advances forward of our MLR. One or two of his outposts established west of the river line have been destroyed by our combat patrols. Of the four prisoners, all deserters, taken in the LUXEMBOURG sector, three were definitely of the "bottom of the barrel" category. (1) To send strong patrols and/or raiding parties to infiltrate and harass our positions, to capture PW's, to disrupt our communications and supply routes. (2) To interfere with our operations by use of saboteurs and agents operating behind our lines.